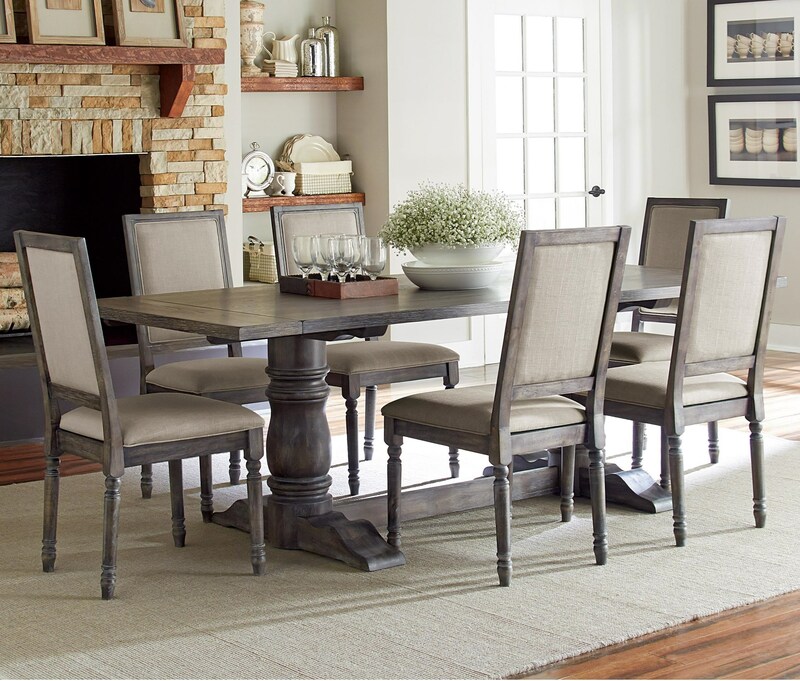 Substantial turned pedestals joined by a stretcher give this rectangular dining table a classic yet relaxed appeal. An aged brown-gray finish brings to life the table top's scrubbed oak veneer, while the table base is crafted from rubberwood. An aged brown-gray finish highlights the updated farmhouse style of the chairs with an upholstered back and upholstered seat in a linen tone fabric. Turned legs add a classic accent to the chairs' style. 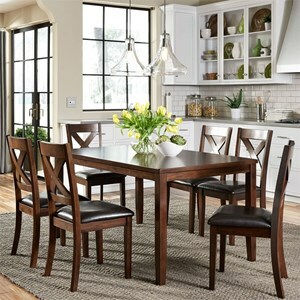 The Muses 7-Piece Rectangular Dining Table Set with Upholstered Back Chairs by Progressive Furniture at Zak's Home in the Tri-Cities, Johnson City, Tennessee area. Product availability may vary. Contact us for the most current availability on this product.